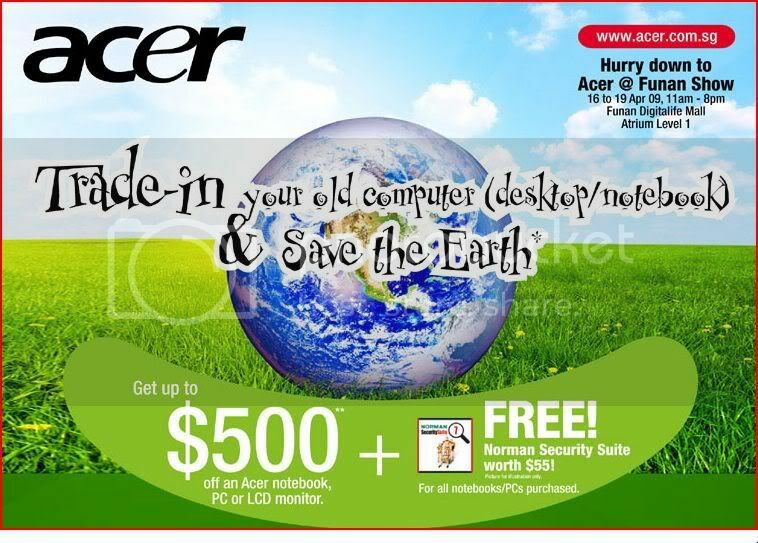 On the first look, I thought Acer has developed a new green notebook or desktop. Only to realize that YOU are the one who is saving the world by trading-in your computer. Haha! 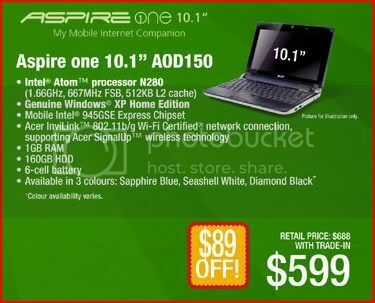 Still there is something new on the show; Intel Atom N280 is moving into the market. Some manufacturers managed to put up some Netbooks with N280 during the IT Show last month. Not sure whether Acer did so then. But of course you might feel better if you spend about the same amount of money and instead got a newer processor than your friend who bought it last month during the show and got a older version.